It’s August 23,2017,7:00 in the morning. 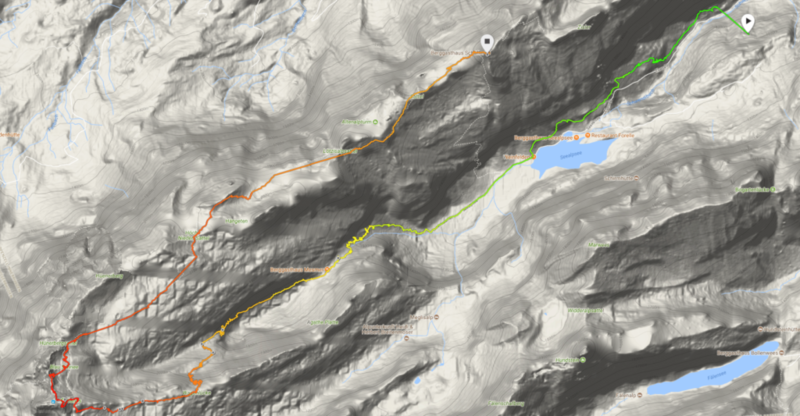 I reach Wasserauen with the Appenzellerbahn. I’m about to start my ascent. 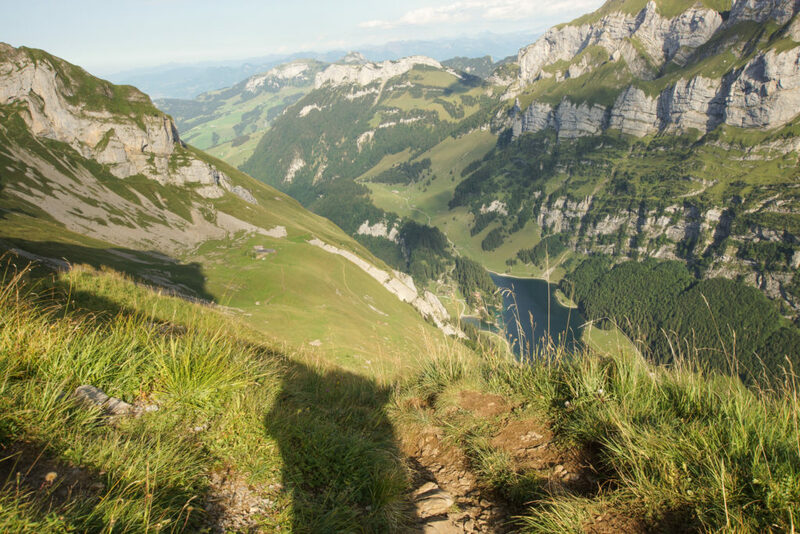 The trail climbs steeply up towards Seealpsee. After about 45 minutes of ascent I reach Lake Seealpsee, one of my favourite places. But Lake Seealpsee is by no means the destination, but only the beginning. Shortly after the alpine lake, the path continues uphill. The next stage is the restaurant Mesmer. Afterwards the path leads a small valley behind before it goes up again. 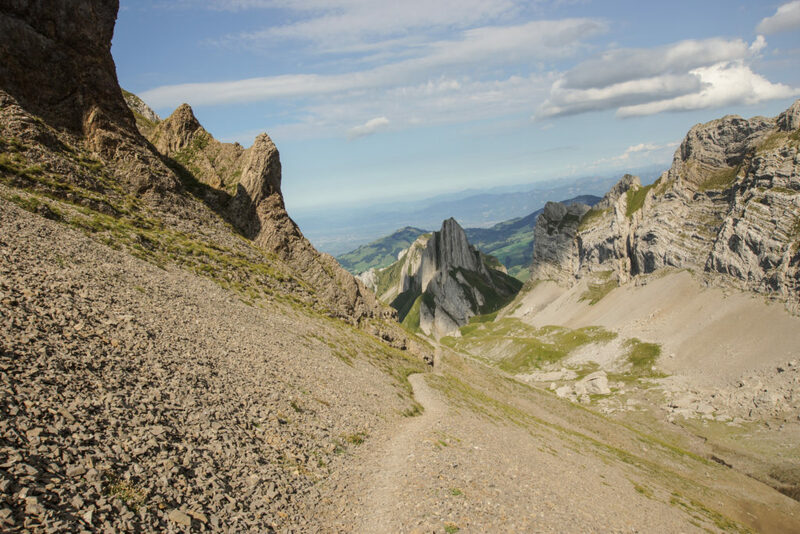 On a large part of the hike I have a view of the Säntis – my destination for today’s ascent. After almost exactly five hours of ascent I reach the summit at noon and return to the mountain guesthouse Alter Säntis and enjoy the magnificent view. Afterwards I head towards Ebenalp. 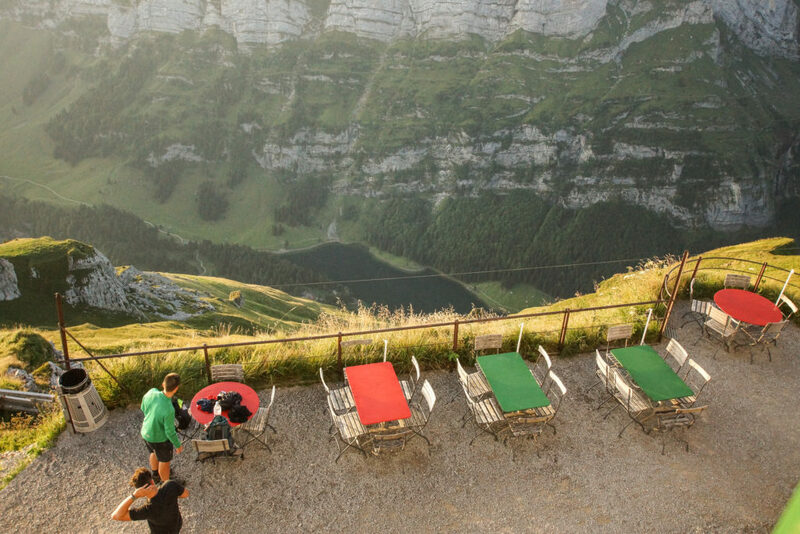 At first it goes down the Himmelsleiter, where 150 height meters are covered with ropes and iron beaten into the rocks. After the Himmelsleiter you reach the “blaue Schnee”, whereas there is not much left of the glacier. The “snow” consists mainly of stone and rubble. On the way I have the luck to meet two ibexes, which are usually more likely to be found at the Altmann, but there in large numbers. The way goes down, straight ahead, and up once in a while. Near the Schäfler you can easily see Lake Seealpsee. You also always have a great view of the other side. In the evening I reach the Schäfler. 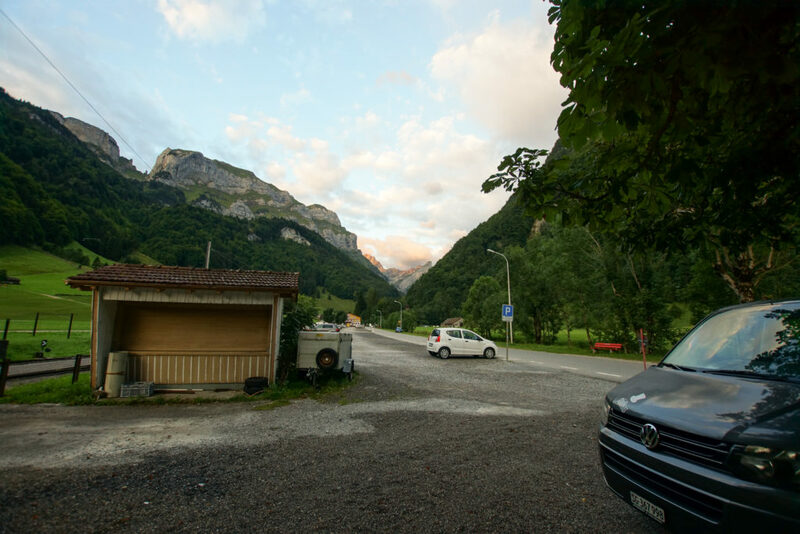 Since it is a little bit tight to reach the last cable car in Ebenalp and there is still room in the mountain inn Schäfler, I decide to stay there for the night and only drive home the next morning. Instead, I sleep with a view of Lake Seealpsee. 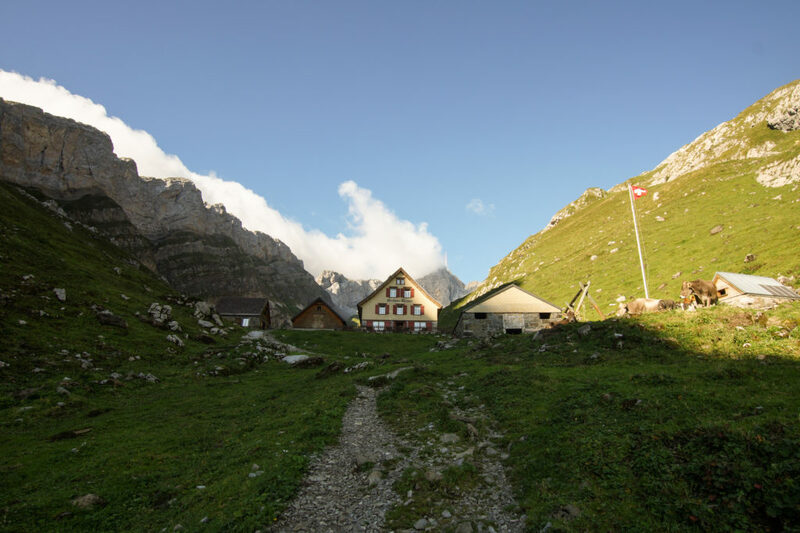 The next morning, after an ample breakfast in the inn, I walk over to Ebenalp and take the cable car down to Wasserauen. 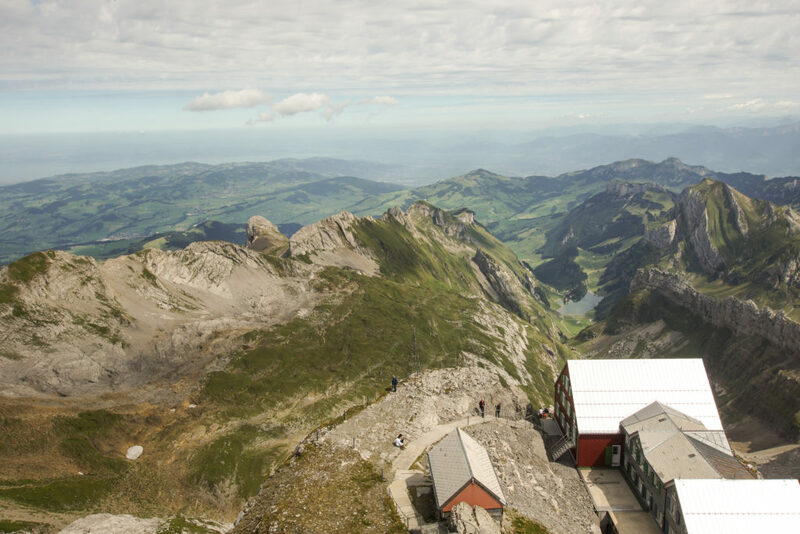 Tip: If you want to enjoy the view from Säntis without the ascent, you can also take the cable car from Schwägalp. 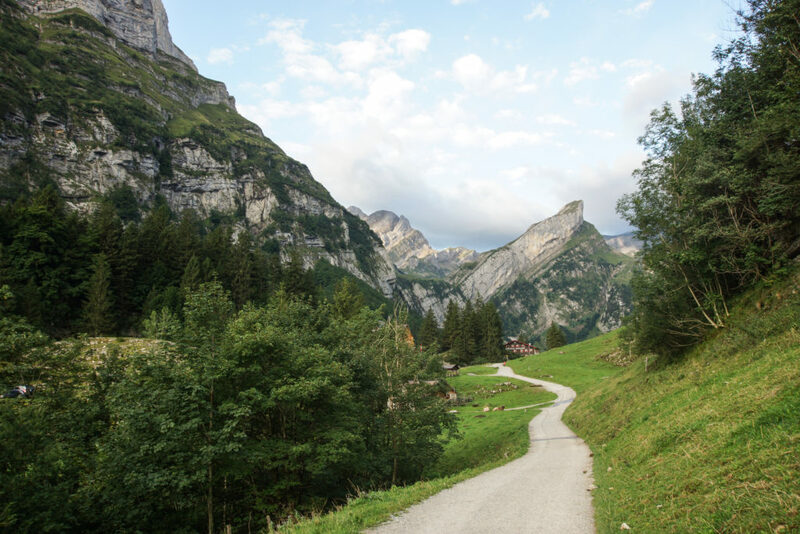 It is also possible to walk up from the Schwägalp. From there the route is much shorter. 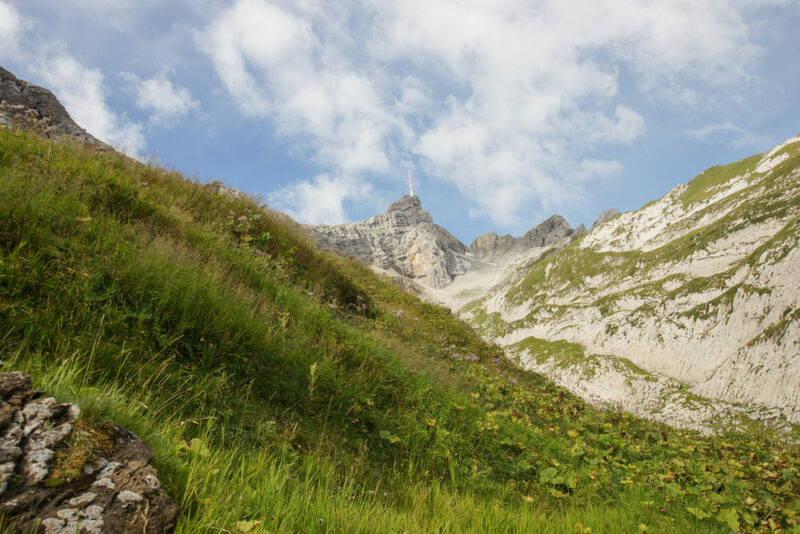 The ascent to Lake Seealpsee, which takes about 45-60 minutes, is also worthwhile for a walk. 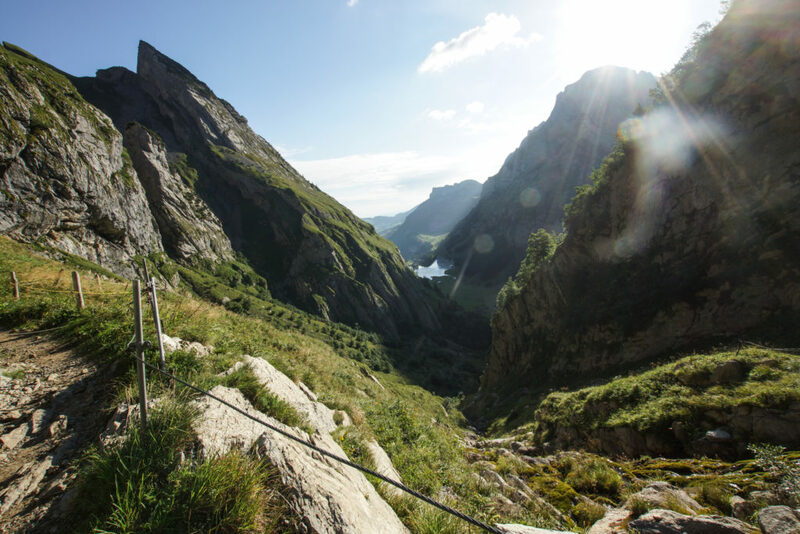 The path is quite steep, but you will be surprised by a beautiful mountain lake. The lake can also be worthwhile in winter. This was the case in December 2016 with black ice.